As we have discussed in previous blog posts, in-home senior care is an incredibly beneficial service to have for your aging loved ones. Caregivers dedicate their time to making the lives of others easier and more tolerable, but there are also benefits to being a caregiver. 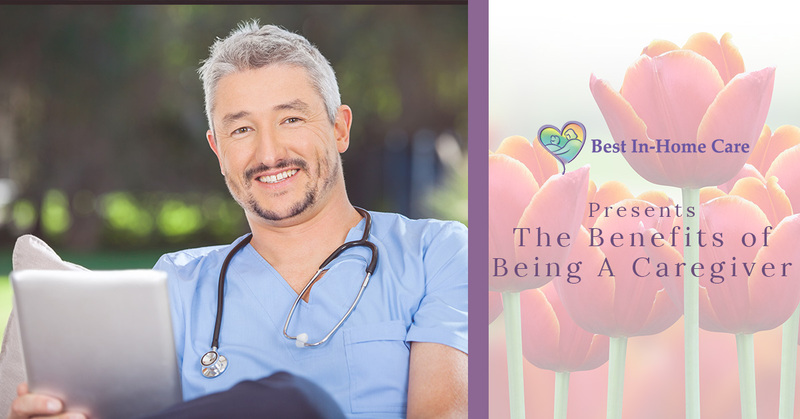 In today’s Best In-Home Care blog post, we are going to talk about being a caregiver, and the benefits and positive experience that you may gain during your time as a caregiver. How Can Being a Caregiver Benefit you? As a caregiver, you tend to spend a lot of time with your patients. Whether it be respite care or elder care, you are bound to develop relationships with those that you care for. As you care for your patients, you learn the intricacies of their schedule and the way that they carry themselves through their difficult times. As you spend more time with a patient, you may notice that they become more receptive to certain activities and their overall demeanor may change. One of the most valuable things that a caregiver can experience is noticing these positive changes, as you will understand that you have truly made a positive impact in a person’s life. At Best In-Home Care here in Lubbock, we take pride in our caregivers and the positive relationships that they form with our clients. While this might seem cliche, our elders know a thing-or-two that we don’t, being that they have been around a lot longer than we have. As a caregiver, you primarily take care of your patient’s day-to-day activities, but you are bound to spark up conversations that just might lead to you learning something that you might not have ever learned if it hadn’t been for your patient. We won’t lie to you, being a caregiver is an extremely demanding job, both mentally and physically, but as you work in the field of elderly care, you just might be able to cancel your gym membership. Caring for the elderly consists of many physically demanding jobs like helping your patient out of bed, helping them get dressed, and helping them with various sorts of mobility around the house. After performing these sorts of tasks with frequency, you may just notice yourself getting stronger, as you are working for two. Here at Best In-Home Care LLC, our caregivers work tirelessly to provide senior home care services to those in need. In doing so, our caregivers gain experience and knowledge from their patients as they develop relationships with them. If at any point you think to yourself “Senior care seems like something that I may be interested in,” don’t hesitate to submit an application. We are always accepting applications for prospective caregivers to help us provide senior services here in Lubbock. At Best-In-Home Care, we provide a multitude of senior services ranging from respite care to simple house cleaning, allowing the elderly to live comfortable and independent lives in their own homes. If you, your loved one, or anyone you might know needs elder care in Lubbock please check out our services today. If you find yourself interested in the services that we provide, contact us for a free in-home assessment.